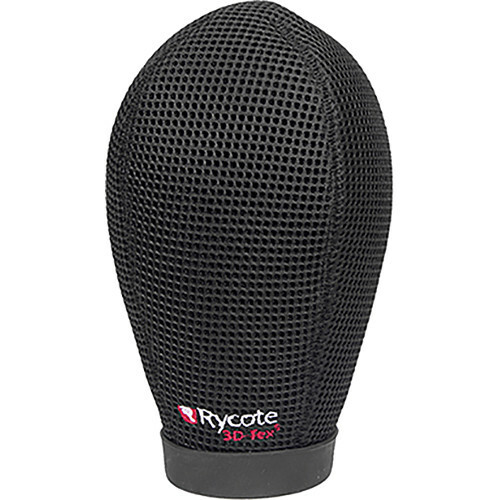 The Rycote 12cm Super-Softie Wind Shield for Shotgun Mics features an aerodynamic shape and surface structure made from the company's 3D-Tex material, which allows for attenuation of wind noise with acoustic transparency. It is suitable for a variety of sound recording applications including video, ENG, and more. The 12cm Super-Softie has no rigid internal structure, thus it causes virtually no polar pattern distortion. Its robust design has been engineered for use in challenging environments, and if it becomes rain-soaked, it can be squeezed out and shaken dry quickly. Also, if it becomes coated with dust it can be rinsed quickly without affecting its performance. Box Dimensions (LxWxH) 11.181 x 4.488 x 4.409"
Is this compatible with a Sennheiser MKH 8060 with no filter modules? Hi Tony. Yes, that's the one to go for for 8060 + MZX (no MZF filter module). MF.